The Queen Pacquiao performed during Brent International School’s Christmas performance. 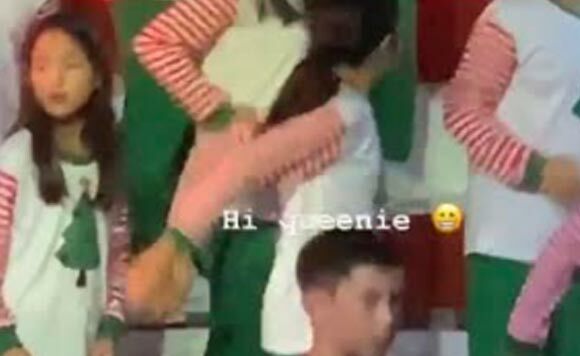 Manny Pacquiao’s daughter, Queen Elizabeth Pacquiao, recently gave her all out performance during the Christmas program in their school. In a series of Instagram stories, her momma, Jinkee, shared some snaps from their school recital where the students delivered a song and dance number. Jinkee enthusiastically supported her daughter during the event. Queenie, the youngest daughter in the Pacquiao brood, was born in Los Angeles, California on December 30, 2008.